Makes 4. Preparation time 5 minutes. Cooking time 10 minutes. • Butter the bread on one side. In a small pot, heat the baked beans and vegetables together and stir until warmed through. • Put 2-3 tablespoons of the bean mix on the unbuttered side of the bread. Top with some cheese. Add another slice, buttered side out, to make a sandwich. 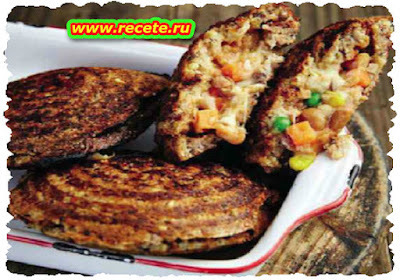 • Toast the sandwich in a jaffle pan until the cheese is melted and the bread is golden brown.